It took a bit, but the first Lightning-enabled accessories are finally hitting the market. JBL just announced a pair of speaker docks that work exclusively with the Dock Connector’s replacement. The iPhone 4S need not apply. These docks work only with the iPhone 5, new iPods and the new iPad. The JBL Venue LT ($200) is a familiar unit. It’s essentially a Lightning-ified version of JBL’s Venue speaker dock. With the Lightning connector placed on a retractable tray, anything from the 4th gen iPad to the new iPod nano can pump out the tunes. Or, simply push the tray back into the unit, and stream audio over Bluetooth. 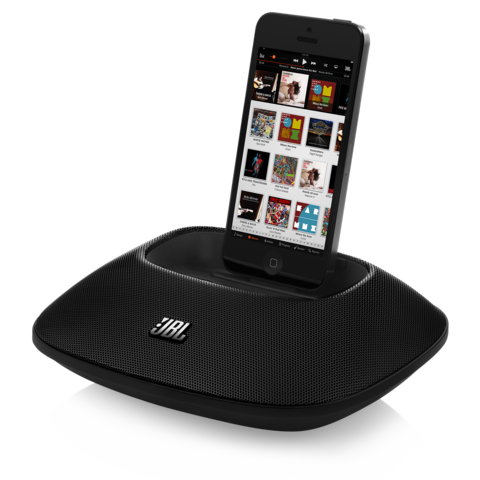 The JBL Micro ($100) is a small, desk-style speaker with a built-in battery and USB port for charging other devices. It lacks the wireless chops of the Venue LT, and due to its recessed dock, it does not work with an iPad. Engadget tested both options and found the Venue LT to be a solid choice while the Micro a bit underwhelming. They also note that neither dock works with an iPhone wrapped in a case — a likely common trait to Lightning docks since the tiny connector offers little support. Both models are available now from JBL.com and select retailers. Accessory makers have so far been slow to release accessories that use the Lightning connector. Apple is reportedly a lot more guarded with the new connector over the outgoing Dock Connector. The holiday spending spree is just kicking off and there are few options available — good news for JBL and others like Scosche which managed to get some products on the market.